Menya Sou SOU is not Nagahama ramen. If I were to imagine what the absolute opposite in of my favorite dirty old Kyoto Nagahama ramen stall, it would be Menya Sou SOU. Opposite in every way except one - both are totally delicious. I have to admit, I was pretty skeptical about Sou. It seemed like the ultimate in the fashionable new breed of ramen shops. Highly designed, fancy light soup (or so I had heard), the whole nine yards. I had walked by a couple of times and thought about going in but had always decided against it. I definitely have a bit of a bias against chic new wave shops - as delicious of ramen as they may serve, there's a part of me that wants to scream "this is not what a ramen shop should be! 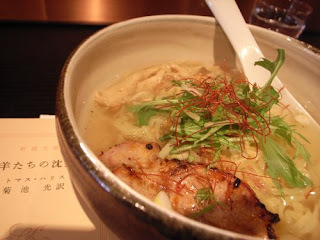 Ramen is food for the common people, so take off your fancy clothes!" Of course, even the fanciest, most high end ramen shop clocks in at barely 1000 yen, which is not bad for a full meal, so all things are relative. But perhaps precisely because of ramen's cheap lowly roots the cognitive dissonance is all the more intense. 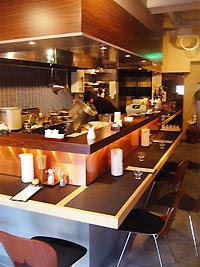 Sou had won some kind of award from the ramen magazine Tora-san (named for the Showa-era popular hero of film, who probably wouldn't have been caught dead at a place like Sou), something along the lines of best new ramen shop for 2007, or at least some portion thereof. It appears prominently in other guides and magazines and is definitely one of the current talk of the scene places. The master and head cook is apparently only 27 years old, and is named Yanagi Sôki. 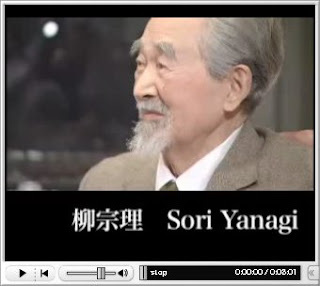 Besides the first character of his name giving the shop it's name, the name Yanagi Sô is of a not insignificant pedigree. Sôki is a relative of Yanagi Sôri, a famous product designer who apparently designed the interior of the shop, despite being in his 90s. Sôri is in turn the son of Yanagi Sôetsu, an artist and thinker affiliated with the Shirakaba school of literature and arts in Taisho-era Japan. 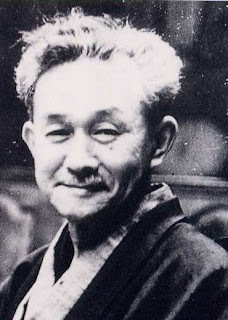 He was interested in folk art, especially from Korea, and founded the mingei folk craft movement in the 1920s. 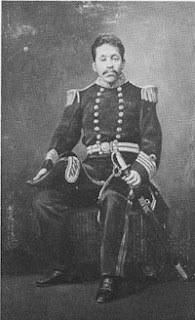 HIS father was Yanagi Narayoshi, who was a Meiji-era Navy admiral and politician. So the pedigree is there, but how are the noodles? Inside, Sou is not entirely dissimilar in design to Watanabe, though a bit less minimalist and a bit bigger. There are fashionable hangers (no doubt Sôri's design) for all the young couples to hang their coats - Sou is definitely another "date restaurant" and definitely the first ramen shop I'd ever been to with mouthwash in the bathroom! Sou is also riding the wave of "ramen dining" - besides ramen they apparently have a non-noodle menu, though maybe not at lunch, because I only saw the basic noodle list. They also serve a pretty solid selection of sake as well as the standard ramen pairing of beer. But what about the noodles? There were noodles in there somewhere, yes? As I said, I was skeptical, but I have to say it felt good to sit down in Sou, probably in part due to the fact that the seats had upholstered cushions. For the soup, you can choose between regular shio and yuzu (citron) shio, and for the noodles between thin noodles and thicker "bokoboko-men" which are apparently hand kneaded into a mild wavy shape. I ordered the yuzu soup and the thick noodles and waited, curious to see what this soup was going to be like. In short, it was great. The yuzu just so mildly accented the already light and subtle broth, and if the broth was light the noodles even lighter. They were thick in width, but very supple, not dense at all, and a little flat, almost like Nagoya-style kishimen. The garnished fresh greens were a nice touch, and their addition added to my overall impression of a bowl of ramen very similar to and maybe even superior to Afuri's. There was a lot of complex flavor going on for a bowl of shio ramen. As an added touch, the salt and pepper (the only toppings available tableside) were equally fancy - Himalayan pink rock salt and whole fresh peppercorns, no doubt of some equally obscure origin. All in all, I walked out of Sou somewhat blown away and satisfied that this place was the real deal tastewise. It's official: I like shio ramen.